Like my post from last year, the goal is to point out videos that are important for as many developers as possible. For that reason, topics like Android TV and Android Wear will not be included. After all, if you are going to build an app for a specific form factor or technology, you don't need me to tell you where to look. However, I will be calling out some specific design-oriented sessions since Material is going to be an important element for the app ecosystem and it's worth becoming familiar with it. Unlike last year, quite a few sessions were oriented towards general advice rather than purely technical courses. Most of the speakers stuck to statistics and sample imagery for their presentations, while the code and specific implementation details were pushed into separate, pre-recorded DevBytes videos. This is probably a good approach because it eliminates any risk of recording on-stage errors and allows for more fluid edits. While everybody should expect to go hunting for a few extra 10-15 minute videos, there are still some must-see talks right here. If you'd like to look through all of the videos posted for Google I/O, including selections from the DevBytes series, check them out here. Not all Android updates are created equal. The latter end of Jelly Bean (4.2 and 4.3) didn't leave much of an impression among most developers; but Android L is sure to blow the doors right off the house. If you write apps (as opposed to games), there are a few things in this video that you simply must know about. This session doesn't dive into a lot of specifics, so it should be seen as more of an introduction to the topics developers will want to follow up on separately. We all know that battery life is a sore subject on Android. With Project Volta, Google is looking to attack it head on with new tools and APIs for testing and significantly reducing the strain apps are putting on the battery. This session discusses some of the best ways to reduce your app's impact by taking advantage of the new APIs for JobScheduler and Network Activity Awareness. There are also details on how to use a newly released open source tool called Battery Historian to visualize the apps and events on a phone that are responsible for gobbling up power. There can be no doubt that Google I/O 2014 was heavily focussed on the Material design language. Not all developers are going to be responsible for the design of the apps they build, but it can't hurt to understand some of the elements involved in the new guidelines. I've chosen the two sessions that give the most direct explanations. At it's core, Material design is about conveying the importance of data on the screen and how the user should interact with it. The importance of elements on the screen is conveyed through color and shadows, taking advantage of the instincts built into all of us. Learn how to position and style your interface to be more meaningful and instantly recognizable. Designing with a good color palette and shadows can go a long way in building a pleasing interface, but it doesn't tell the whole story. Static apps are boring, and switching between screens without animations can be jarring and disorienting. The other part of Material design is about teaching users how an app works and smoothly guiding them from one action to another. While the previous two videos are the best for most developers, it can help to get a sense for the inspirations behind Material design. If there's time, take a look at the other talks about both the origins and intention behind Google's new design language, and also the implementations of it within the Play Store and other Google Apps. Now that we have seen what Google is looking for designers and developers, it's time to learn how to actually make it happen. If you're ready to put some fancy new designs to work in your app, this is the session to watch. Check out some of the new tools and techniques included in L, and a few pieces that have been added to the Android support library for API level 7 (Eclair) and above. Pick up the basic implementation details for putting together an app built around material design, and get some details about the classes and elements that can streamline your app development. Think of this session as the second part of "Material science." The built-in widgets and animations can make it easy to build an attractive and lively interface, it's those special customizations that really produce unique experiences. Learn how to take control of your on-screen elements with a deep dive into the details of the animation and layout system. Oh, and it's worth watching just to catch Romain Guy and Chet Haase together on stage for -what will probably be- the last time. This talk was a bit more rushed than some of their others, so the jokes aren't as free-flowing, but it's still a good show. Again, this was just a list of the most useful and important talks at Google I/O 2014. If you have a couple of lunch hours to burn on watching some more, it's worth peeking in on a couple more. Achieving more with Mobile Cloud (video) - I would have included this session because it discusses a lot of things that are new to GCM. However, it was mostly just a follow-up to the "Google Cloud Messaging" session from last year. If you're using GCM in your apps, it's probably worth watching just to find out about the new capabilities available to you. What's new in Android development tools - If you're already a user or you've been waiting to make the transition, check out the latest additions to Android Studio. There's a lot of info here about new features and a few changes. Quite a bit has changed since last year. Google Play power session - There's a lot of good tips, tricks, and advice for making the most of Google Play services and the Play Store. There's no single specific focal point for this talk, but the information points to a lot of ways for developers to approach app distribution more professionally and with a higher success rate. Finally, I just wanted to point out the last third of the ATAP talk, where former Disney animator Glen Keane presented an absolutely stunning video short titled "Duet." No words can adequately describe how beautiful the storytelling is, so I'll just leave you to watch it for yourselves. The story and interviews are well worth 16 minutes, but if you'd like to skip to the best part, check it out here. The sessions at I/O 2014 felt profoundly different from those of previous years. While it's still certainly a developer conference, there's a sense that the message has changed from building apps to building new experiences. I hope everybody found this list helpful! 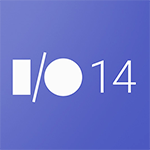 Again, if you'd like to check out the full list of talks and DevBytes videos from Google I/O 2014, hit the link below.